At least 11 oil spills have crippled parts of Trinidad and Tobago, coating miles of beach with crude as the state-owned energy company scrambles to control what is being called one of the country’s worst environmental disasters, Jamaica’s Observer reports. Petrotrin, Trinidad’s state-owned oil company, first responded to an oil spill near La Brea on December 17, according to a report from the Trinidad Guardian. Over the past month, the company has confirmed at least 11 spills and was slapped with a $3.1 million fine from the country’s Environmental Management Authority last week, which the company’s president, Khalid Hassanali, called “harsh”. The pipeline responsible for the first of the leaks at Petrotrin’s Point-a-Pierre facility, which resulted in an initial spill of more than 7,000 barrels, may not have undergone any inspections for the past 17 years, according to a confidential report commissioned by the company and obtained by the Trinidad Guardian and reported in the Huffington Post. 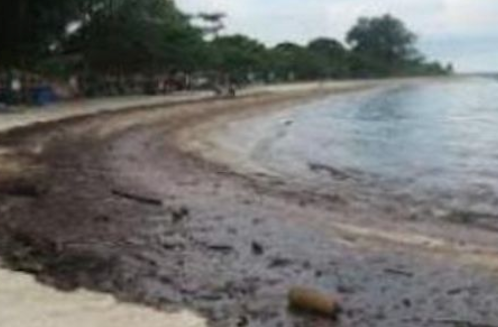 Of the other 10 leaks, Petrotrin has accused saboteurs of causing at least two while issuing a series of media releases praising what they describe as “significant progress” during clean-up efforts, saying the beaches would be clean one to two weeks after the spill, according to the Huffington Post. Local officials have accused the company of trying to downplay the extent and size of the spill, the Trinidad Express said. Two former energy ministers also came forward earlier this month, saying Petrotrin did know about the state of its aging infrastructure after a government audit was ordered in 2010.